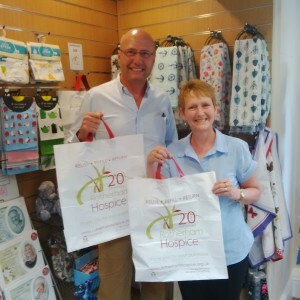 Rotherham Hospice recently took delivery of their new bags for life. These bags are made from heavy duty film using recycled plastic bottle content. A bag that lasts and re-uses disposed of materials – marvellous news indeed! “We are absolutely thrilled with them. A quality product and great design”.